factory workshop , a photo by sillyhancox on Flickr. It was amazing! 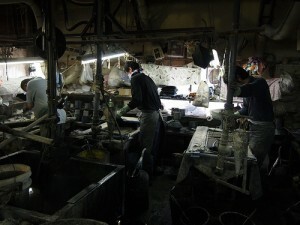 I learnt about a very unique method of dyeing cotton called ‘chusen’. All the staff are very highly skilled at their particular role. It is encouraging to see traditional techniques being used to make works of art that are part of a solid looking business.